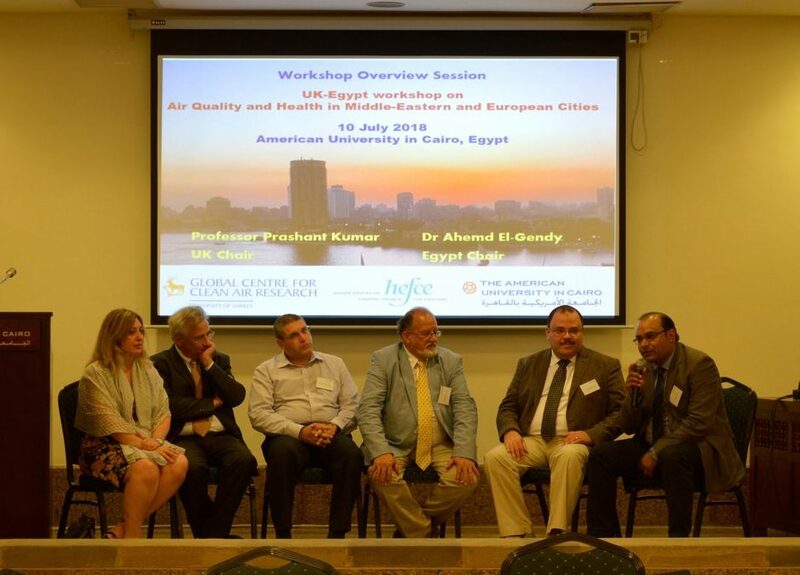 A very successful UK-Egypt Workshop on air quality and health took place in Cairo last week on the 10th July. The workshop organised as a part of the Higher Education Innovation Funding project RETINA and in partnership with the iSCAPE project aimed to provide a platform to share knowledge and spread awareness towards the opportunities and impacts of air pollution research between the UK and Middle-Eastern countries. The workshop served as a collaborative platform between various research groups, allowing them to share experiences and enhance their academic reach to European research groups.